One random winner will be chosen to receive a copy of The Hit by David Baldacci. Click on book cover for more information and to enter. One random winner will be chosen to receive a copy of Life After Life by Kate Atkinson. Click on book cover for more information and to enter. Two random winners will be chosen to receive a signed copy of The Black Stiletto: Stars & Stripes by Raymond Benson. Click on book cover for more information and to enter. Charm: An Amazing Story of a Little Black Cat is the gripping account of a remarkable experience in author Leyla Atke's life. It is a story that tells how things are hard to acquire and easy to lose when even slightly neglected. It is a story that makes the reader think about the existence of a higher power and the other world. It is a story about how anyone can be entrusted a certain mission from above - Or simply, it is a story about a miracle? Sometimes miracles do happen in our lives and Atke's miracle begins when she finds and saves a little black kitten from the middle of a busy road, where cars speed by almost hitting him. She takes the kitten home and named him Charm. But one day, Charm goes missing. When Atke finds him, it's too late. But then something amazing happens and restores Atke's faith. You'll have to pick up a copy of the book to find out what that is! After a gathering of people in Israel are inexplicably slain, a renowned investigator from the Ministry-Vince Ramsey-is called in to investigate. Some experts at the scene believe that only something supernatural could be responsible for such an atrocity. Ramsey ends up finding an ancient artifact that leads him to the Antiquities Authority, where he teams up with historical specialist April Fulton. Together they learn the artifact is linked to an ancient secret society founded by a famous Greek philosopher. Only it's much more sinister than they could have ever imagined. Being hunted down at every turn of their journey by ruthless assassins, they race to discover the truth-and finally encounter the diabolical villain controlling a powerful force only spoken about in the Book of Revelation. (Based on real historical/esoteric facts). Called a "Real thriller" from Readers Favorite! I was born into a family that was extraordinary on so many levels. Had they kept me I would have attended the best schools, traveled around the world, and met many influential people. Instead, I grew up in a small community in Florida where I led an ordinary life with few advantages. I could barely breathe, walk, or talk. I fell down a flight of stairs when I read her letter. And at the same time I was so happy I thought my heart would explode. I wanted her to know if she would let me, I would try and make up for all our lost time. Julie, a pregnant upper-class nineteen-year-old Philadelphia Main Line debutante is confined against her will to a state mental hospital. She spends her pregnancy surrounded by the mentally challenged and the criminally insane. On April 19, 1964, she gives birth to a little girl and is forced to give her up for adoption. The father of the child, Frank doesn't learn until later what has transpired. A loving middle-class couple adopts this baby girl from Catholic Charities. The child is adored and cherished from the very beginning. It is as though she is dropped into the first chapter of a fairy tale but we all know how fairy tales go. Soon after, the loving adoptive mother dies, the father remarries a woman with two daughters of her own, and all hell breaks loose. Julie Mannix von Zerneck grew up on a farm outside of Philadelphia with a menagerie of wild animals, consisting of a cheetah, eagle, python, monkeys, otters and a pet fox called Tod, who her father wrote about in The Fox and the Hound, the renown children's book. Her debutante party was featured on the front page of every society section in the Philadelphia press. Julie is an actress who had running roles in TV soaps including The Best of Everything, General Hospital and The Secret Storm (inspiring the book title.) She was co-owner of Portrait of a Bookstore, voted Best Independent Bookstore in Los Angeles for several years, and which recommended books seasonally with Susan Stamberg on NPR. She now sells antiques and antiquarian books. She has been married to television producer, Frank von Zerneck for forty-eight years and they have two children. Their courtship, worthy of Romeo and Juliet, is detailed in Secret Storms. Kathy Hatfield was born in Philadelphia, and grew up surrounded by two brothers, twenty-five cousins, and two sets of grandparents in Florida. She teaches World Literature at a high school, and serves as English department chairman. She and her husband of twenty-five years have two daughters. She is moderator of the Adoption Reunion Stories Facebook page. Redbook featured Julie and Kathy, the Discovery Channel interviewed them, and now with their book completed, Katie Couric and Jeff Probst have committed to interview them on their national TV shows. In addition to being a page-turning gripping read, Secret Storms promises to add to the continuing dialogue about adoption, and addresses the best approaches for adoption reunions. Interview with Leyla Atke, author of Charm: An Amazing Story of a Little Black Cat. Interview with Brian D'Amato, author of Beauty. Bestsellersworld.com and Mysteries Galore.com have teamed up with Providence Book Promotions and Partners in Crime Virtual Book Tours. If you are interested in a virtual book tour, please use the links below. 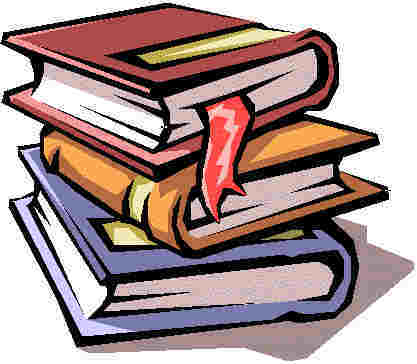 Providence Book Promotions (PBP) offers the authors and publishers the opportunity to promote your book to the masses. We help give your book the boost it needs in the markets you're vying for! Partners in Crime Virtual Book Tours - Do you write Suspense? Thrillers? Mysteries? We've got you covered! We're your one stop for the best suspense and mystery reviewers the internet has to offer. Stop by and let us show you how to run a stress-free tour!